Have a plumbing issue? We can help, no sweat. 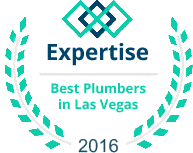 Atlas Plumbing has been providing quality residential and commercial plumbing services to the Henderson community and the Vegas Valley for over three decades. Our company was founded on four generation of experience, and built through ongoing trust, integrity and genuine customer service. Plumbing problems in the home can be stressful, time-consuming, and expensive. As a family-owned company, we understand how these problems can impact your lives. That's why we strive to be the family-friendly solution you need to restore your home to its previous condition. We have the compassion and care to provide efficient and cost-effective solutions for all the plumbing problems you may encounter. Whether it’s a leaky faucet, clogged drain, a water heater replacement or a gas line repair, our certified and trained Henderson plumbers have the knowledge and experience to walk you through each step of the process and ensure your absolute satisfaction. Call your family plumber today at (702) 819-7137 to find out how we can assist you with your Henderson & Las Vegas plumbing problems. Providing plumbing service to the community since 1980. We love what we do. We will never charge you extra for weekend service. At Atlas Plumbing we will give you the right price and the service you deserve, every time. Here at Atlas Plumbing you can always count on getting the best service at the best price. That is why we choose to pay our technicians hourly, so they are never inclined to oversell services or products that you do not need. Your confidence is extremely important to us, we want you convinced that by choosing us as “Your Family Plumber” you are making the best choice for your home. We are so confident is our pricing and workmanship that we have encouraged our customers to get second opinions to be truly confident in the valve they will receive in choosing Atlas Plumbing. Any consultation or estimate fees will always be applied should you choose us to complete the repairs. We look forward to taking care of your home or business. Let us show you why our community has been trusting us since 1980. The plumbing in your home is your most important “Appliance” For this reason we encourage you to sign up today for the savings & the benefits.